Lynn is amazing. She spent time getting to know us, suggested amazing ideas and came through perfectly. Lynn was always patient, hard working and on top of things. When our neighbors moved in, the first thing they asked was who we hired to create such an amazing yard. Quickly, they asked for Lynn's information and hired her. Their yard turned out spectacularly. 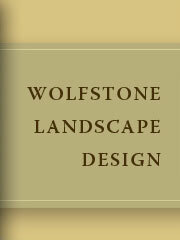 I could not recommend a better person or landscape designer for your yard. Lynn Wolfstone designed our backyard garden -- a large space that we were hardly using. The existing patio was old and unattractive, and the rest of the yard was just a big stretch of uninviting space. Lynn worked closely with us to understand our tastes and preferences and designed a series of distinct spaces that flow into each other beautifully, giving us full use of our backyard. She recommended plants and hardscape ideas that truly match our taste, so now that the plants are getting established and growing in, we have the feeling and look we were hoping to achieve. Our garden is so inviting now, we feel as if we have outside rooms that we never had use of before. It truly is a dynamic and exciting garden that beckons us in. Lynn has been so patient and giving of her time; any time I have a question or concern, she promptly comes up with answers and solutions! She was here to put each plant in the perfect place before planting, and she made sure we received every plant and hardscape material we ordered. Working with Lynn Wolfstone was a pleasure and a privilege and I heartily recommend her.